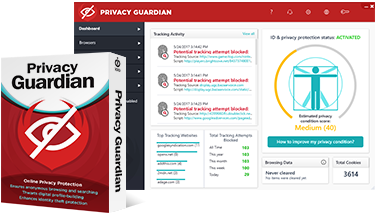 Protect Your Private Life with Privacy Guardian. What you do online isn’t private and can be used against you. Only Privacy Guardian offers protection from the latest, most sophisticated type of online tracking: digital fingerprinting. Cookies-based tracking blockers and VPNs don’t. How much data is unprotected?